South Branch Veterinary Services is a full-service veterinary medical facility, located in Lebanon, New Jersey. 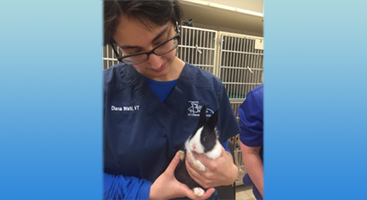 South Branch treats dogs, cats, small mammals, birds, and exotic pets. 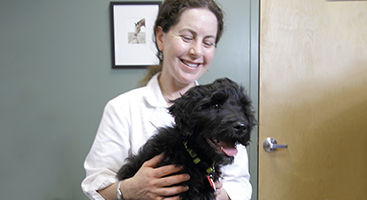 South Branch Veterinary's dedicated & educated team has decades of combined experience in veterinary care. Learn more about South Branch and our expert care team! Our team of veterinarians, vet techs, and more provide a wide range of veterinary services to best serve your pet's needs. Find out what we can do for you today. Our convenient location makes South Branch Veterinary an excellent option for your family. Contact us today to set up an appointment and get your pet on the road to good health! South Branch Veterinary Services offers quality veterinary services and care in a friendly, relaxed setting. Our veterinary clinic offers a variety of amenities to ensure that you and your pet are comfortable while receiving the highest quality of care. Our vet’s commitment to your pet’s care is our primary focus and our friendly staff is available to answer any questions you may have. Our animal hospital offers a wide range of services, so be sure to check out what we can do for you! Our small animal veterinary hospital is located 3 miles south of Route 78, on Route 31 in Lebanon….right in the heart of Hunterdon County, New Jersey. We are just minutes from Flemington and Clinton NJ, so you can easily reach our veterinary clinic from almost anywhere in Hunterdon County. South Branch Veterinarians provide compassionate care for pets – we know they’re your family, so our vets strive to treat your pet as if they’re our family as well! Your pets are in good hands with South Branch. Make an appointment with our veterinary clinic today. South Branch always welcomes new patients. Please call us directly 908.735.9998 or click on our request an appointment button on this site. All first wellness visits for pets from rescue or shelter facilities registered in New Jersey are free as our recognition of your compassion for adopting pets in need. South Branch Veterinary is happy to provide the best veterinary services for you and your pet! Don't just take our word for it, though - check out some compliments our team has received from existing clients and find out why you and your pet are in good hands with South Branch.